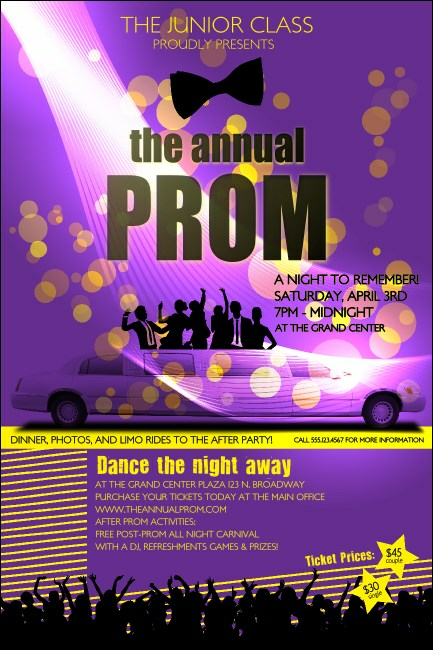 Leave no promotional possibilities behind when you use the Prom Limo Poster! This exciting template in deep purple and bright yellow will have everyone waiting to dance at your affair when they see the party scenes featured. A whopping 22 lines are easy to edit with details of your bash. Advertising just got easy with TicketPrinting.com!